India play three Tests, six One-Day Internationals and three Twenty20 matches on their two-month tour. In six days time, India will play South Africa for the first Test at Cape Town. Before this game, India have won only two Tests in South Africa. Now, being the number one Test team in the world, they are expected to do better. Not only the fans but captain of the Indian cricket team Virat Kohli also feels that they can do better than their previous results in the country. The Indian captain said that they have the right balance in their squad to break a few record and push for their first ever series win in South Africa, which will certain their top rankings in Test cricket. “Our best result here has been a drawn series in 2010-11 but I feel the kind of bowling attack we have now and the balance we have in the side, we definitely can win here. 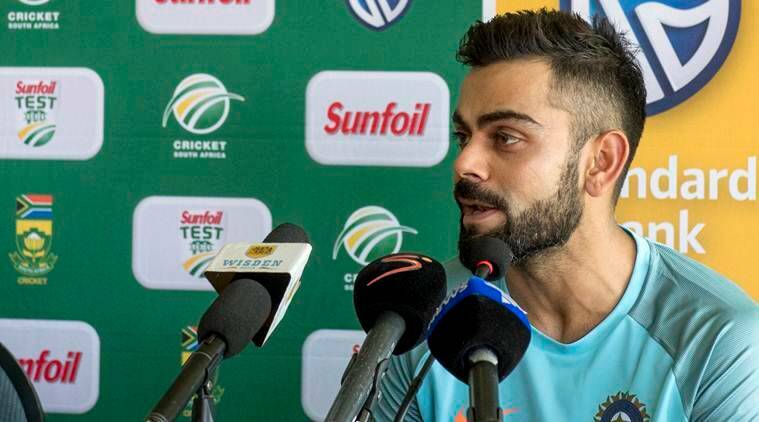 There are no two ways about it,” Kohli said after India held their first preparations for the first Test at Newlands in Cape Town. “We come here wanting to express ourselves, believing in our abilities and knowing we have the right balance to win Test matches under any conditions we play under. “If we didn’t have that mindset, there would be no point getting on to the flight to come here,” Kohli told reporters. The first Test begins on Friday and India will look to begin on a winning note. They have won nine Test series in a row since August 2015 but majority of them were played at home. Also, they did not face South Africa in South Africa. “We come to South Africa knowing the wickets are going to be different from those back home. We are under no illusions but we are ready for it. “Last time we were here there was a lot of talk about our batsmen being bounced out but we stood up rather nicely. “The most important thing is not to get surprised by the pace and bounce. It is going to be much quicker and much more bouncy than back home and you will get balls that will surprise you every now and then, so the most important thing is to focus on the game ball by ball,” said Kohli, second behind Australia skipper Steve Smith in the individual Test batting rankings. “That’s something we did last time. You can’t afford to worry about the pace and bounce, you have to believe in your abilities and take it head-on. That’s key to playing in conditions that are different from your own,” he added.